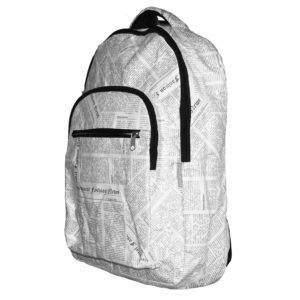 Tyvek Bags Newspaper Print Range - Read All About It! As soon as we had launched our BO-BORSA range of brown Tyvek® bags we decided to design a new range. Tyvek® looks and feels just like paper. However, it is super-strong, waterproof, washable and grease and stain resistant. We thought what else would be a good design using this material? After a lot of thought we came up with the idea of a newspaper print. After all, who would expect to see a bag of any type which looks like it is made of newspaper? 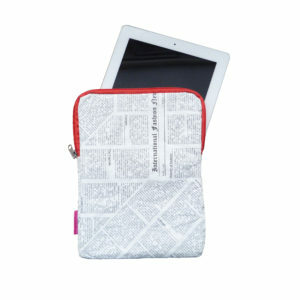 The best-selling Tyvek® tote bags, the iPad covers and the travel bags all come with a red zip or a black zip. BO-BORSA bags are all fully lined. As soon as the range was launched it became a great success. It is as popular as our original brown paper range. We have many new ideas for our newspaper print designs so please look at our website bo-borsa.com from time to time for new arrivals. Alternatively, please leave your name on the website and we will keep you informed whenever any new designs or lines are coming. Our new range of Tyvek® bags and accessories with an antique French receipts design will be on sale around Easter so please look out for that. If you have any ideas for designs or items that you would like to suggest, please let us know in the comments section. 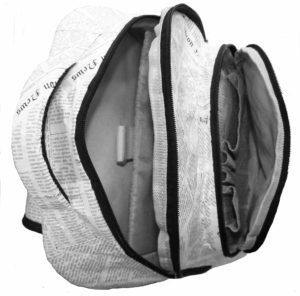 Tyvek Travel Luggage and Bags: Travel Smart – Travel Light!